When I first started keeping Saltwater fish I always wanted to keep a Raccoon butterflyfish but I was put off by many people who said they were not suitable for my first Butterflyfish. They were wrong! Racoon Butterflyfish are an excellent choice even for beginners. Butterflyfish and in particular the Raccoon Butterflyfish are very easy to care for once you have your tank water setup correctly and you understand their feeding needs. In this article, we will explain all you need to know to keep these amazing fish in your home aquarium. Breeding No reported home aquarium breedings. Let’s start with the tank itself. You need a saltwater fish tank no smaller than 120 Gallons. You will also need to provide plenty of rocks and places for them to hide in. They will swim out into the open space at the front of your tank when they feel safe and settled. In most average home aquariums you should only keep a single Raccoon Butterflyfish as most home aquariums don’t have space to home multiple Raccoon Butterflyfish without them fighting. Unless you’re lucky enough to own a very large saltwater aquarium Raccoon Butterflyfish will fight over territory. 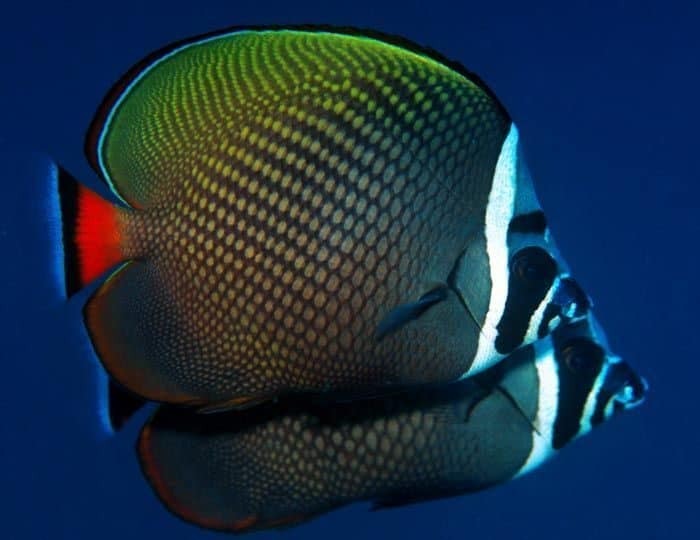 They will also fight with other Butterflyfish but are normally fine with most other saltwater fish. They do however have a tendency to fight with Lionfish & Triggerfish for some reason. 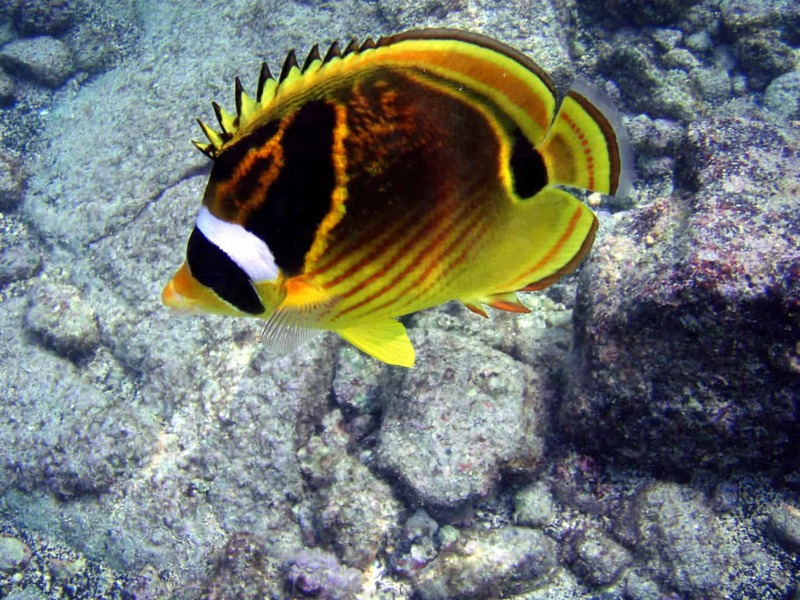 Like most Saltwater fish, water quality is very important and Raccoon Butterflyfish are not different. They need excellence quality water and will thrive in a large tank with great water quality, plenty of rocks to hide in and good filtration. They are not suitable for reef aquariums as they will nip and feed on soft corals. In the wild, this is a staple part of their diet but in a home aquarium, this is not an option. What do do Raccoon Butterfly fish eat? Omnivore fish can eat both Meat and Vegetable matter. These type of fish are normally very easy to feed due to the different types of foods available to you. One of the best foods for butterfly fish is kelp fish food. Packed with all the natural nutrients they need when used as part of a balanced diet. We use Omega One Super Veggie Kelp available from Chewy.com. They will also eat marine flake and Saltwater pellet foods also but make sure you give them a varied diet and if you’re feeling generous you could even buy then a small soft coral to nip and enjoy. My Raccoon Butterflyfish also loved dried Seaweed held in place in my tank by a seaweed clip. I purchased mine from Amazon. I have provided the links for you to save you time. To my knowledge, this species has not been bred in captivity, maybe in a public aquarium or very specialist aquarium but certainly not in the average home fish tank. In the wild, these fish form pairs that scatter their eggs in open water where they are dispersed by the current of the ocean. The eggs are approximately 1 mm in size, and the embryos hatch approximately 30-35 hours after fertilization. The larvae subsequently spend about 40 days floating around in the plankton before settling into the reef. If you have bred these fish at home then please let us know. As most home aquariums are too small to keep pairs or groups of Raccoon Butterflyfish so the chance of breeding them are slim. Finding suitable tank mates for saltwater fish is key to having a successful and peaceful fish tank. These fish are very peaceful as long as they don't have much competition from other butterflyfish. These are just a few suitable saltwater fish that would make great tankmates for a Raccoon Butterflyfish. Like we have touched on previously the only fish they don't seem to get on with are Lionfish and Trigger Fish for some unknown reason within a home fish tank. The Raccoon Butterflyfish can be found living on reefs and in shallow lagoons in the Indo-Pacific and Atlantic ocean at sea depths of around 30m. They are mainly Nocturnal species and young fish stay close to the reefs and rocky areas whilst adults venture further out into open waters. In the wild, they feed in pairs or small groups and feed mainly on various invertebrates, coral polyps, and algae. Juveniles have a prominent false eye spot towards the top anterior part of the body, which blends in more with the fish’s markings as it gets older. This species is very similar in appearance to the Red Sea Raccoon Butterflyfish (C. fasciatus). These fish have the ability to change their appearance when they feel threatened to a darker patchy appearance which is a safety mechanism to help them blend into the rocks to avoid being eaten or attacked. Butterflyfish are one of my favorite saltwater fish of all time, they are majestic and regal looking fish. In most home aquariums they are normally the star of the tank. Conclusion: Raccoon Butterfly fish care guide. Everyone looks at my raccoon butterflyfish and they always ask ' What's that fish?' and nine times out of ten they are talking about my lovely Raccoon Butterflyfish. 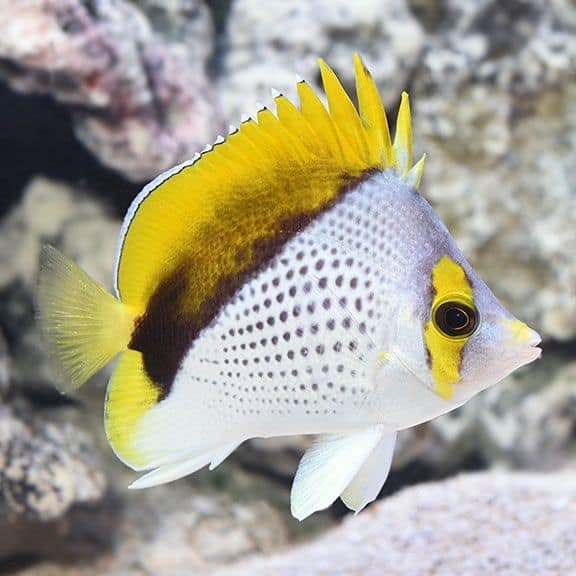 Don't get me wrong there are other butterflyfish that are also just as beautiful and I have listed a few below to give you some options to consider before you buy a butterflyfish. All of these would take pride and place in any home aquarium. Just remember the will eat soft corals and nip at invertebrates in your tank so consider carefully if your tank is suitable. They are also particular about the water quality, so a fully established aquarium with excellent water is a must! Copperband Butterflyfish, sometimes known as Beaked Coralfish, Beaked Butterflyfish and Orange Stripe Butterflyfish due to the narrow nose and mouth used for hunting food in holes in and around the corals and reefs. 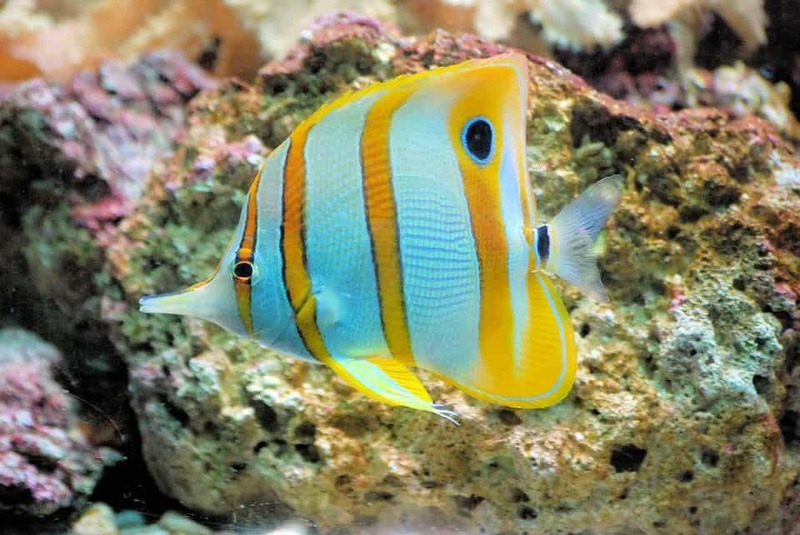 The Copperband Butterflyfish has yellow-orange vertical bands with a black edging. Like most butterflyfish, they have a false eyespot on the rear of the dorsal fin. This fish is unmistakable from all other butterflyfish due to its colored bands and distinctive long nose. Like all butterflyfish, they need a very large tank to be kept in groups or they will live in a peaceful community tank on their own. Be careful keeping these fish in a reef aquarium, they will pick at invertebrates, especially anemones and feather dusters. They are not cheap! These fish retail at around $75-$130 for a nice fish. These fish offer a dark and mysterious look to your tank. They are brown and black in color with lighter scales that look amazing. Two white stripes that run through their head make them stand out from the crowd. Again these fish should be kept alone or in larger aquariums. They will also nip and eat soft corals so caution should be used if you want to keep them in a reef tank. 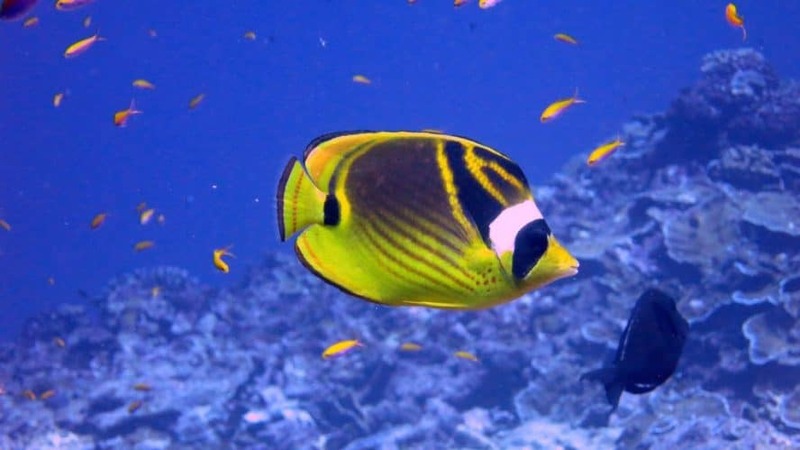 The Pakistan Butterflyfish are carnivores and require a varied and balanced diet including crustaceans, brine shrimp, and frozen meaty foods chopped very fine. Once acclimated to the aquarium, it requires feedings several times daily with small portions. Small and often feedings are the key to keeping a healthy butterflyfish. The average cost is around $70 and they will live for around 5-7 Years and grow to a maximum size of 7". These for me are the holy grail of butterflyfish available for home aquariums. 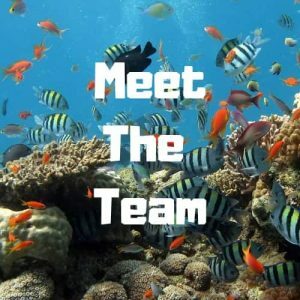 I could not afford one so I purchased a Raccoon instead but if money is no object then you should consider one of these fish for your home saltwater tank. These fish live in the Central Pacific Ocean and specifically around Christmas Island. They are not found in many other parts of the ocean and therefore they are very rare! This striking fish looks amazing and would be any saltwater fish keepers pride and joy. They are not cheap at around $300 each. They are very shy fish and need lots of places to hide and natural rocks to pick food from. They will grow to about 6-7" Max and have never been bred in captivity.